John Donovan – State Farm Insurance Agent provides a comprehensive portfolio of insurance and financial products for its clients. John and his team help their clients pick and choose the right products and coverage amounts to protect the client from the unexpected. Making sure your Insurance plan matches your needs, in the event you need to recover from losses. John and his insurance team value the opportunity to work for people who want to secure their well-being and protect and preserve their assets. Building long-term relationships based on a precise understanding of needs and desires and a commitment to customer service is what sets John Donovan and his insurance team apart from other insurance agencies. John and his team and value the opportunity to work for people who want to secure their well-being and protect and preserve their assets. John represents State Farm because of the commitment State Farm makes to each of its customers. Sara Holloway, Nikole Strohl, Faith Rice, Amy Summers, and John have more than 30 years of combined insurance experience and look forward to serving you. Our team members are local and are committed to the local community. John’s graduated from Marist College, Poughkeepsie NY, in 1984 with a B.A. in Communications, he played four years of professional basketball in Europe and Japan (1984-1989), worked in Public Affairs for the oil and gas industry, the building industry and the alternative transportation industry from 1989-2005. 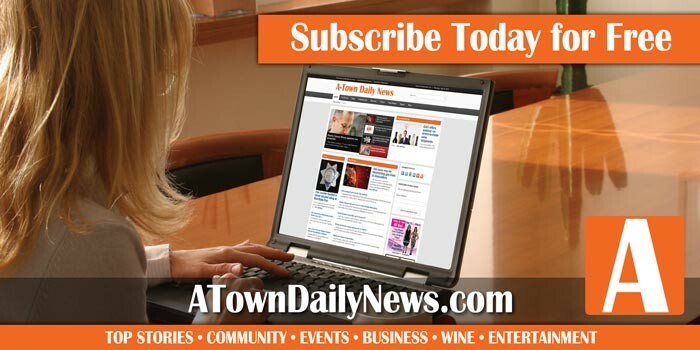 He is a member of the Atascadero Chamber of Commerce Board of Directors (Chairman, 2018), a member of the Rotary Club of Atascadero (President 2012-13), an Abraham Lincoln impersonator (and an annual fixture at the Templeton 4th of July Parade). 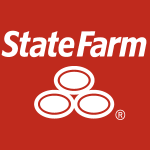 John started his State Farm career in 2005 and opened is agency in Atascadero in 2007. Auto insurance, homeowners insurance, renters insurance, life insurance, health insurance, personal articles insurance, and earthquake and flood insurance. CDs, MMA, checking, savings, credit cards, home loan and equity products, auto, boat, rv, utility vehicle loans and other financial services products. Todd Thomas-State Farm Insurance Agent offers Auto Insurance San Luis Obispo, Car Insurance San Luis Obispo, Home Insurance San Luis Obispo, with friendly personal customer service 24/7. As your local State Farm office, we are committed to providing you with the best combination of price and value for your car insurance, home insurance, business insurance, and life insurance. Beach, Cambria, Santa Margarita, Atascadero,Templeton, and Paso Robles areas for your insurance needs. Rick Torres is a Solvang insurance agent with State Farm that helps his clients manage the risks of everyday life. His priority is to take care of the important things in his clients’ life in a friendly, caring and professional way. He offers a holistic, comprehensive approach to protecting his clients and helping them to fulfill their financial plans. Torres provides: Insurance and financial services, including auto, home and life insurance; retirement and college planning, and business and health insurance. He also offers State Farm Bank products and Mortgage Loans. His office is located in beautiful Solvang, California, at 540 Alisal Rd. Suite 4, on North Alisal Rd. between Mission and Maple Streets, North of Mission Santa Inez. They are open Monday- Friday 9 a.m.- 5 p.m., and Saturday by appointment. Rick Torres was born and raised on the Central Coast and graduated Cal Poly San Luis Obispo with a degree in Business Administration. He was a State Farm Agent from 2002-2007 and served in State Farm Management from 2007-2013. Torres is an active participant in the community, including coaching youth basketball. 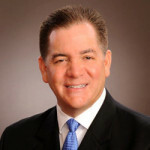 He is a member of the Solvang Chamber of Commerce and the National Association of Insurance & Financial Advisors. State Farm first started in 1922. As of today, it has more that 65,000 employees and more than 18,000 agents that service a collective 82 million policies and accounts in the United States. State Farm ranked number 41 on the 2014 Fortune 500 list of the largest companies. They sell approximately 100 different products. Callie L. Fisher Insurance Services Inc.
Providing competitive insurance quotes for small groups and individuals in Paso Robles, CA through Anthem Blue Cross. As an Anthem Bluecross provider, Callie L. Fisher Insurance Services Inc. makes sure you receive Quality Personal Service for all your health insurance needs. Full-service insurance agency specializing in small businesses and individuals. Services include writing policies for health insurance, life insurance, home insurance, business insurance, auto insurance, workers compensation, general liability insurance, bonds, property insurance, and rental property insurance. HFG Coastal Insurance Services has specialists in all forms of insurance and are experts in working with small businesses. In 1994, Hinds Insurance, now HFG Coastal Insurance Services, Inc. was established as an insurance agency to provide insurance services for small businesses and individuals in Paso Robles, California. The agency has grown to 7 employees with agents specializing in all aspects of insurance. “I was looking to reduce my auto insurance premium and fortunately a friend told me to give Simon Lobo a call. I am sure glad I did. Simon was prompt with giving me a quote, courteous and saved me money. I signed up with him immediately and highly recommend you do the same.” – Debi M.
Free evaluation of your insurance portfolio with a detailed analysis of your coverage needs. Rick Goree – State Farm Insurance Agent located in Paso Robles is a full-service, local, trustworthy insurance agency specializing in auto insurance, home and renter’s insurance, life insurance, long-term care insurance. Accessible, involved, knowledgeable, licensed, friendly, and detail-oriented. Experienced and trusted State Farm insurance agent located in Paso Robles, CA. We offer all lines of insurance including auto, home, life, business and health. We specialize in one on one service and get to know our clients on a first name basis. Steve Weber has been a State Farm agent since 2006. He’s involved with numerous local organizations, his church and youth sports. Steve loves working with clients to provide them with a level of service most have never experienced before. His team of agents is always ready to help you so there is always a licensed agent available. We pride ourselves on providing a remarkable customer experience every time you come in, call or email.